Steeped in Louisiana and New Orleans zydeco and swamp blues, Tri Tip Trio comes with a vision and nearly a generation of its members playing together in other groups. The Tri Tip Trio concept is based on “King of Zydeco” Clifton and his brother Cleveland Chenier’s early zydeco/blues dance hall sounds. 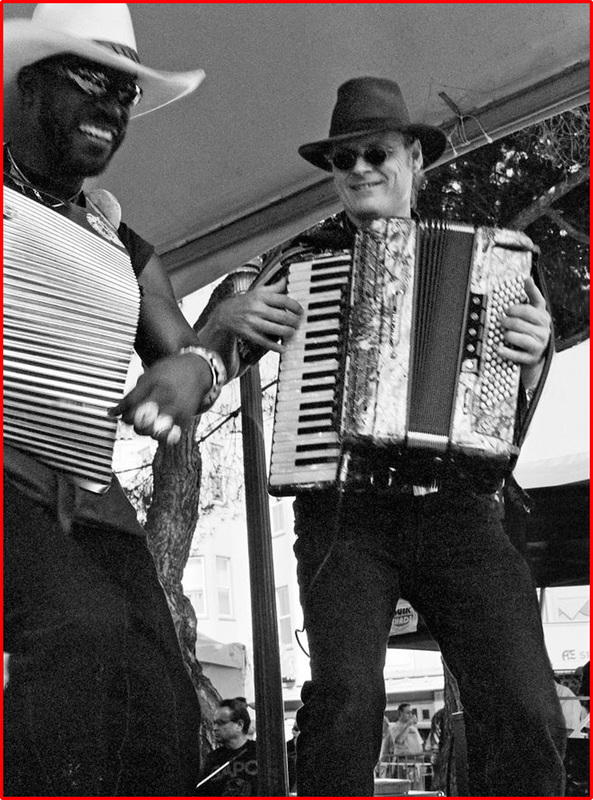 Lloyd Meadows’ propulsive washboard and harmonica and soulful vocals, along with Bruce Gordon’s pumping accordion and Louie Rodriguez’s rock-solid drumming, are all Tri Tip Trio needs to capture raw and exciting sounds for both dancers and listeners. The three musical musketeers play classic zydeco, blues, and New Orleans funk as well as band originals. They also like to integrate cover tunes that were never originally zydeco songs into their sound. The group’s CD, “3 of a Kind,” is a tribute to Clifton Chenier and includes a cover of the Rolling Stones’ “Miss You” alongside original and traditional tunes. Gordon and Meadows are longtime Bay Area blues and zydeco veterans. They have shared the stage for many years, performing in the Zydeco Flames, a band Meadows and Gordon co-founded in 1991. The members have had varied and extensive careers on their own, playing with a who’s who of local and national talent, including Elvin Bishop, Tom Rigney, Annie Sampson, Mal Sharpe, Brenda Boykin, Chris Cain, Luther Tucker, and Sonny Rhodes.